As a Vibrational Kinesiologist I was trained to correct the electrical systems of the body to create maximum health and wellness by using ancient knowledge and modern wisdom. 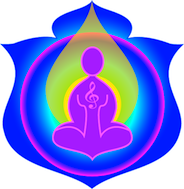 The Balance sounds are a specifically created series of sounds to balance the three electrical fields in the body, which are described as the Chakra, Meridian and Auric field systems. These are practitioner only sounds and are used after a trained practitioner has used kinesiological questioning of the body and ascertained which of these fields may be malfunctioning. The Balance sounds are a part of a two sound series with the meridian sounds for balancing and re aligning the body. There is a second set of sounds which replace the original and I call them Meridian. Comment from Susan – Since I was a client of Cameron’s, I was aware of the auric fields, and what they cover and I have to say, it is totally different concept from what I have learnt in the other modalities I have studied. In this instance, we can define them as ‘sensory’ fields and they can hugely affect a person if they are not ‘switched on’ for any reason. There are many different fields which vary in range and purpose. Here are a couple of common examples which will help you to understand what we mean when we talk about ‘auric fields’. My niece had a gorgeous baby girl, who was a ’mummy’s girl’, she always had to be near her mother or she became upset. ​When I tested the baby, one of her auric field’s wasn’t ‘on’, this particular auric field (and there are several) allowed the baby to sense her mother and for the mother to sense her child. The result, the baby wanted to be close to her mother, as in visual range, because she couldn’t sense her, similarly, her mother didn’t mind her being close, because she knew where she was. Compare this to her older sister, whose field was working perfectly, she had not need to be within visual range of her mother, as she could ‘sense’ her mother and therefore was perfectly fine playing outside and so on. Also, her mother had no need to have her nearby, as she could sense that her elder daughter was perfectly fine. Once, we switched on this particular auric field, it was like a miracle, my great niece was absolutely fine being away from her mother and vice versa. At this time, the baby was about 18 months old. When we do a practitioner session, we always balance the auric fields and meridians, this ensures a better session, which is better accepted by the body. The Client at Home Weekly Correction sounds No 94 are the perfect take home program to keep your self aligned after a Practitioner correction.